Kevin Durant, Steph Curry and the rest of the dominant Golden State Warriors team caused a problem for eBay. A stormy start to the baseball season didn't help either. Ebay owns ticket seller StubHub, and lackluster sales to sporting events and concerts dragged down the company's second quarter earnings, CEO Devin Wenig said on a call with analysts Wednesday evening. He called it a "tough landscape" for sports. Among the bigger problems: Many early season baseball games rained out, leading to what Wenig called "a historically bad start." Expectations for high ticket prices to the NBA Finals and hockey's Stanley Cup Final fizzled. The Warriors swept LeBron James and the Cleveland Cavaliers in four games. The Washington Capitals needed only five games to win the Stanley Cup against first-year expansion team the Las Vegas Golden Knights. The championship series for both basketball and hockey can last at long as seven games. So StubHub was robbed of the opportunity to sell tickets for three more NBA games and two more Stanley Cup games. "There were just a lot of things that broke the wrong way," Wenig said. The World Cup in Russia also didn't provide any meaningful impact for StubHub in the quarter, Wenig added. What's more, Wenig said demand for concert and theater ticket sales were also softer than expected. Shares of eBay (EBAY) fell nearly 10% Thursday. The StubHub issues were just one bit of bad news. More troubling: Ebay's overall sales missed forecasts and the company lowered its revenue outlook for the rest of the year. Ebay has also struggled to gain ground against Amazon (AMZN) in the battle for online retail dollars. According to a recent report from research firm eMarketer, eBay has a 6.6% share of US e-commerce sales so far this year. Although that's good enough for second place, it pales in comparison to the 49.1% share controlled by Amazon. That has Wall Street worried. Brent Thill of Jefferies cut his price target on eBay following the earnings call, citing concerns that it may be losing market share to Amazon in what Thill deemed a "robust" environment for online shopping. Mizuho analyst James Lee also cut his price target on eBay. He said in a report that growth is slowing in the US and internationally and pointed out that eBay plans to spend more money on advertising and other marketing -- which should eat into its profits. 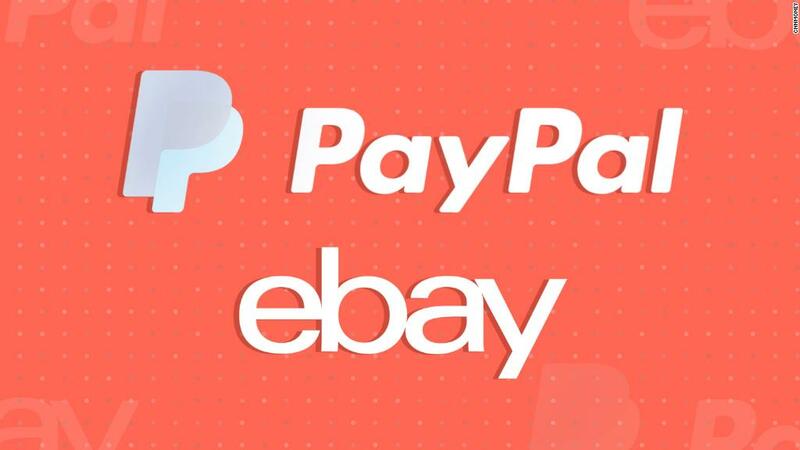 For the past few years, eBay's stock has also lagged the performance of PayPal (PYPL), the payments unit that eBay used to own.